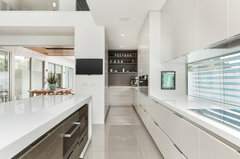 Does any one know how to create a window splashback without the frame visible like the photo attached? 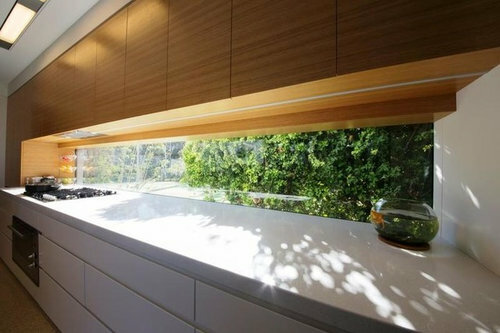 Does the builder do this or is it the cabinet maker who somehow covers the edges in? 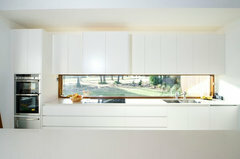 Kitchen window splashback - feedback please!